Excellent condition Second War radio operators blue jumper. Trade patch is for radio operator. 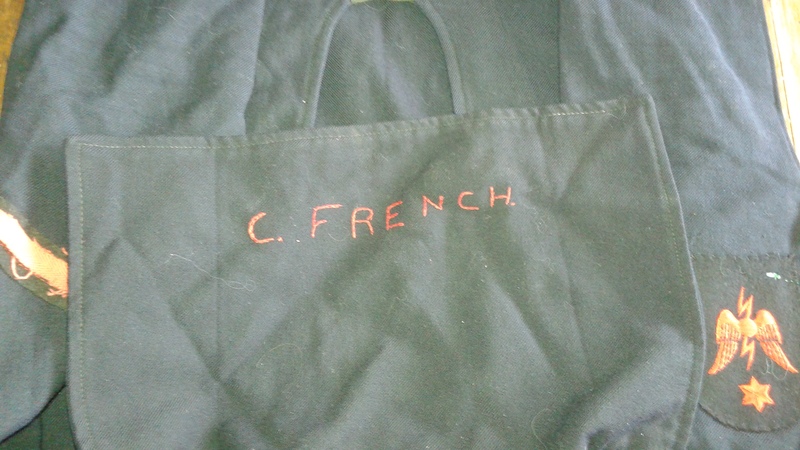 Stitched name is: "C. French". These are actually pretty tough to source. 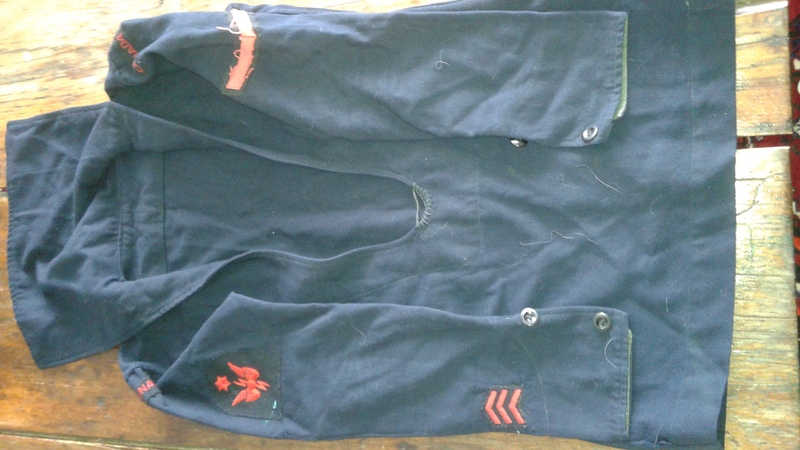 Due to other items that originally came with this jumper but have since been sold, this sailor definately served at HMCS Fort Ramsay at some point.